>	Per-student funding for class size reduction was not enough to cover the cost for already under-funded districts. > School had to hire new teachers, many of them not certificated, to meet the needs to make their classes smaller. > Serious overcrowding issues forced schools to ?cannibalize? 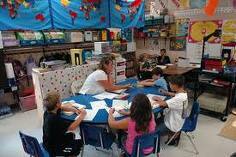 other needed facilities?special education rooms, child care centers, art and music rooms,or rent portable classrooms to accommodate the need for more classrooms. > The high cost of implementing class size reduction made it difficult to fund other education needs. >	Will there be enough resources to provide for high-quality teachers? >	Will there be adequate facilities to provide for the necessary classrooms? > Will putting money into class size reduction take away money from other programs, such as art, music and child care?